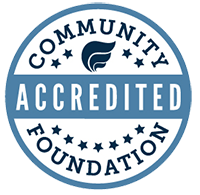 The Community Foundation offers information sessions for nonprofits considering applying to CFMC through the annual competitive grant process. Any organization submitting an application for the 2018-2019 Cycle is required to attend one of these information sessions. This includes applications to the general Grants Committee, the Animal: Respect & Friendship (ARF!) Fund, the At-Risk Boys Fund, the Katchen Coley Conservation Fund, the Killingworth Community Fund, the Swaim Arts Fund, and the Sari A. Rosenbaum Fund for Women & Girls. During this informational session, nonprofits will hear about areas of focus and impact in which the Community Foundation is particularly interested; changes to the application process; an overview of the timeline and process; and marketing and evaluation expectations.